Enlarge Enlarge Set of speaker spikes (4 pcs.) . Solid version, adjustable in height, with support disks and self-adhesive plates, black chromium-plated. Enlarge Enlarge Set of resonance absorbers for speakers . Effectively suppresses the transmission of unwanted vibrations. With gold-coloured decorative ring, Ø 25 mm x 20 mm, max. load/set: 30 kg, supplied with adhesive pads, fixed selling quantity: 4 pieces. 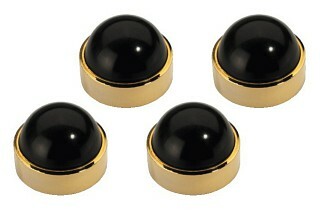 Enlarge Enlarge Set of speaker spikes (4 pcs.) . 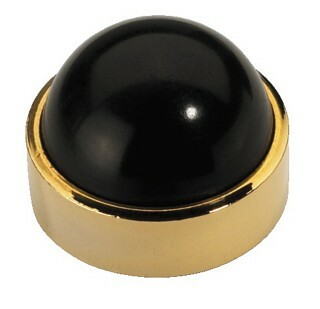 Slim version, adjustable in height, with support disks and drive-in nuts, gold-plated (GO) or black chromium-plated (SC). 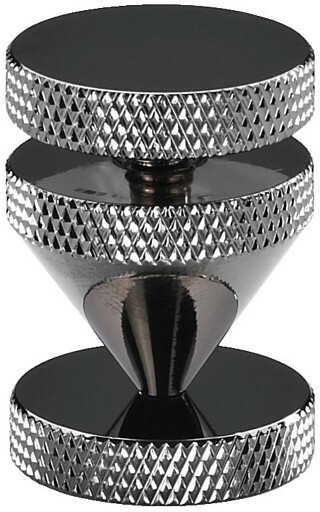 Enlarge Enlarge Set of speaker spikes (4 pcs.) . Slimline version, adjustable in height, with support disks and drive-in nuts, gold-plated (GO) or black chromium-plated (SC). Enlarge Enlarge Set of speaker spikes (4 pcs.) . Ultra-slim version, adjustable in height, with support disks and drive-in nuts, gold-plated (GO) or black chromium-plated (SC). 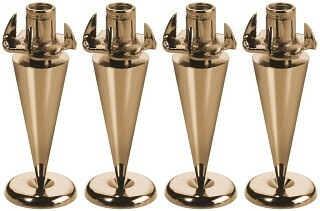 Enlarge Set of speaker spikes (4 pcs.) . 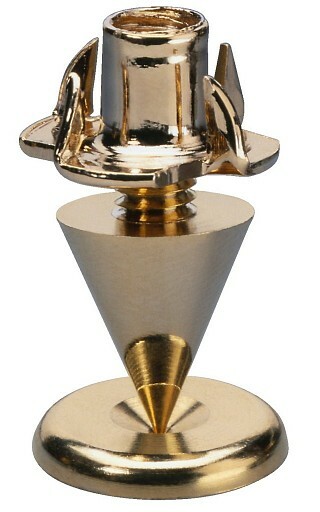 Fine spikes for elegant but stable mounting in all compact speaker systems. 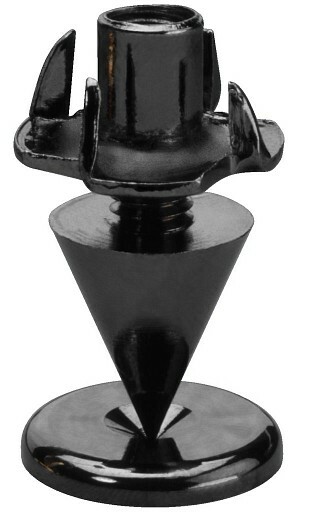 Spikes with threaded inserts for screwing in, adjustable in height and equipped with counternuts. Black burnished. 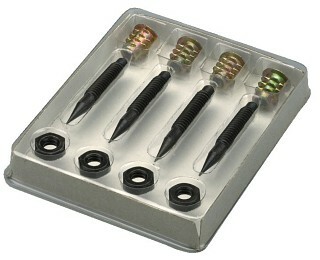 Required core drilling for threaded insert: Ø 8 mm. 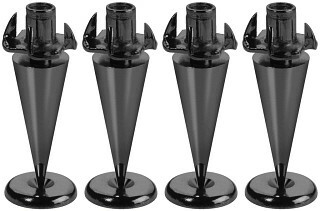 Enlarge Set of speaker spikes (4 pcs.) . 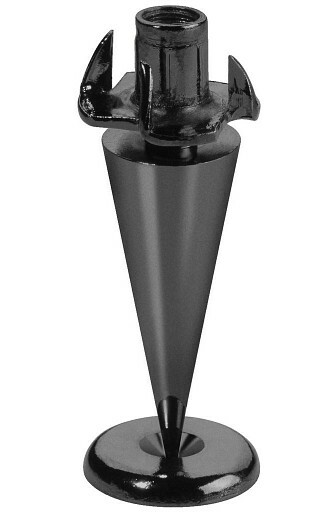 Solid spikes for mounting made to last, also in very heavy speaker systems. 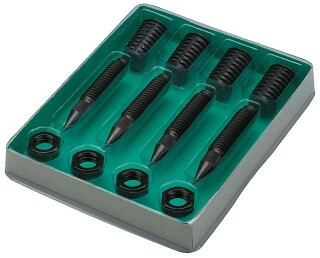 Spikes with threaded inserts for screwing in, adjustable in height and equipped with counternuts. Black burnished. 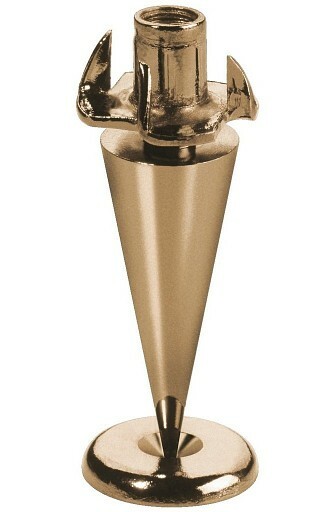 Required core drilling for threaded insert: Ø 13 mm. A 10 mm hexagon key is required for mounting.